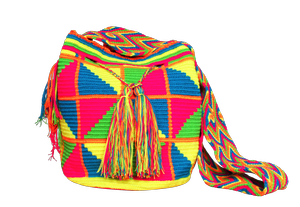 The Wayuu people are an indigenous tribe inhabiting the protected desert of Columbia in South America. 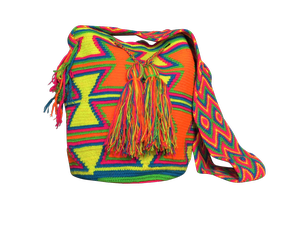 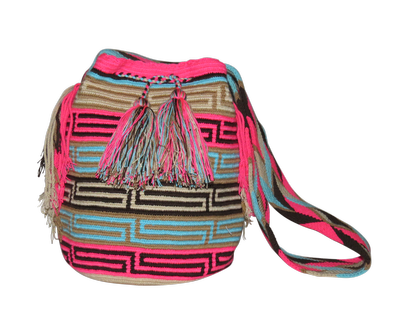 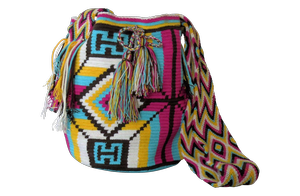 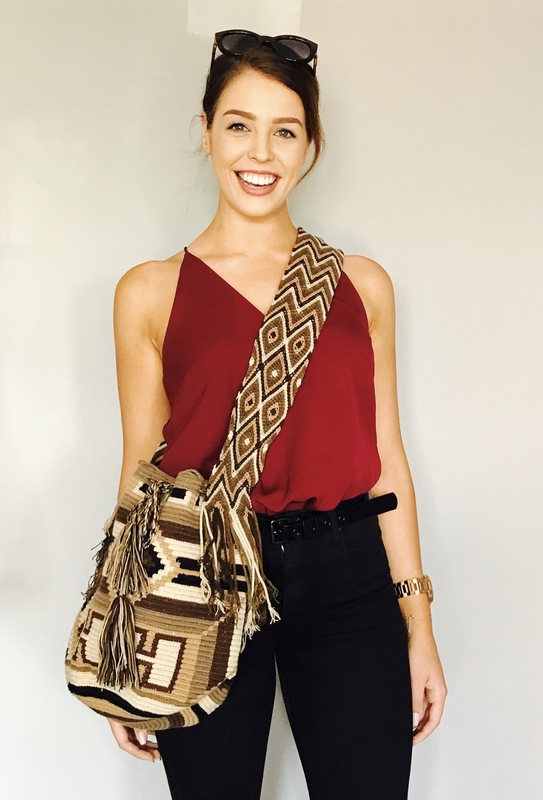 They are steeped in culture and tradition and one of the most significant aspects of their culture is that the Wayuu women pass on the art of weaving Mochilas Wayuu bags from generation to generation. 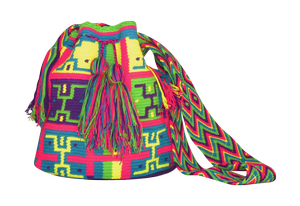 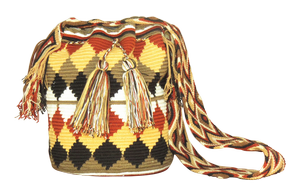 For them being able to weave and crochet these bags is a symbol of wisdom, intelligence and creativity. 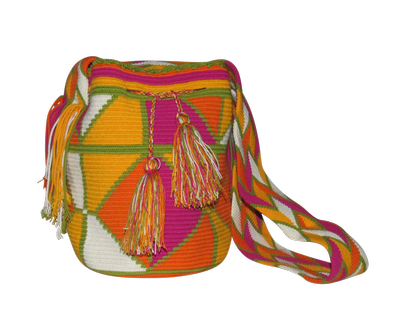 Each bag and its design is entirely unique and takes up to a month to crochet out of pure wool. 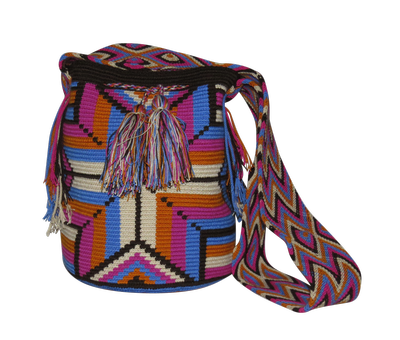 The colourful patterns and long straps make them a perfect all-season accessory. 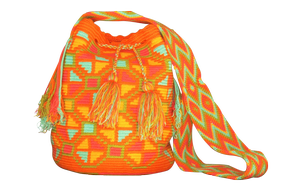 You can travel the world with your Wayuu bag or take it to the beach or on a picnic. 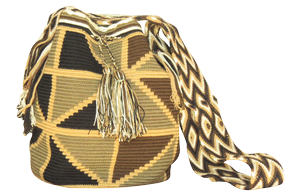 It’s a beautiful handbag too. 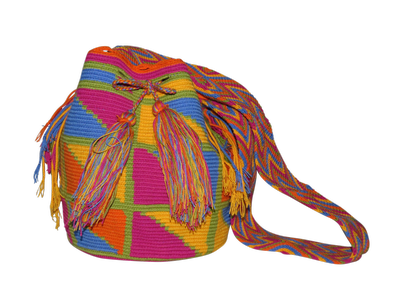 Today the Wayuu tribe relies on their unique creations as a means of financial support enabling them to preserve their way of life. 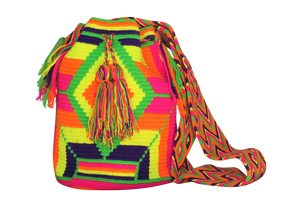 Every Wayuu bag is an individual work of art.